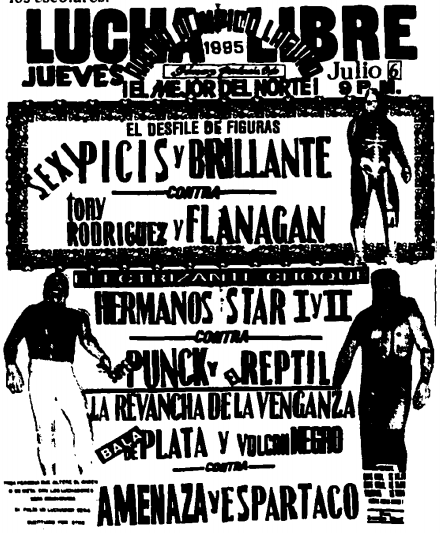 Event Notes: includes a moment of silence for Diabolico II, who passed away on a tope. 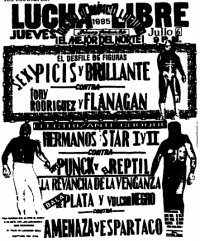 Niebla kept his mask. Super Brazo is Martin Alvarado, the youngest Brazo. 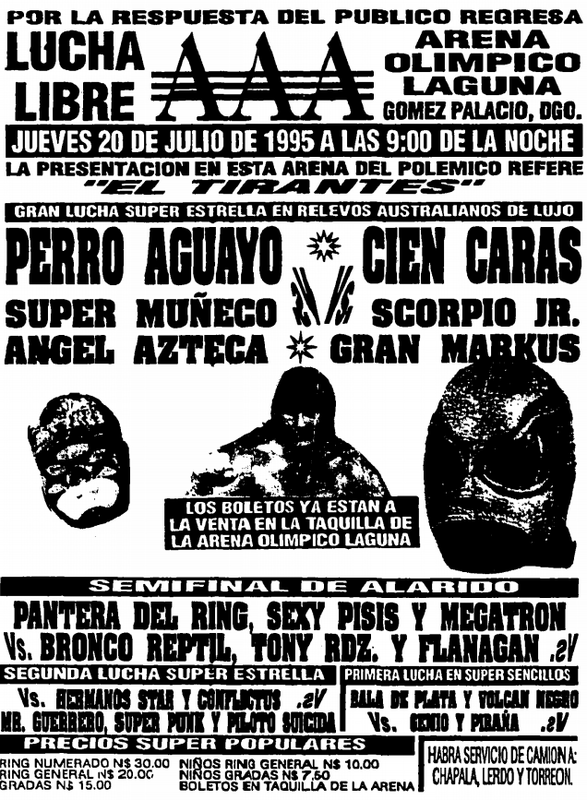 4) Ángel Azteca, Perro Aguayo, Súper Muñeco vs Cien Caras, Gran Markus Jr., Scorpió Jr.
3) Altanico & Oro vs Love Machine & Pirata Morgan Jr.
Misterioso fouled Volador, challenges fouled. Samoan II filled in for Hercules Hernandez. Fans pelted the ring with garbage in teh third fall. ***1/2. Tecnicos took 1/3. Doink was Matt Osborne. Doink slugged a fan, who was a plant. An unnamed wrestler attacked Rey Misterio Sr. after the match. *. Wild Samoan I was Tonga kid/Sam Fatu/Nikozuna. Fans threw stuff and attacked the rudos. Perro pinned Cien out of nowhere. 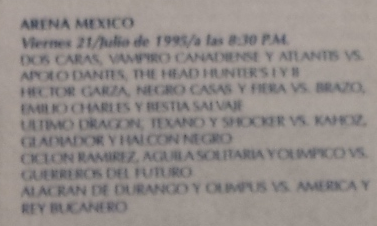 4) Furia Imperial, Sombra Vengadora I, Sombra Vengadora II, Sombra Vengadora III vs Cirujano Loco, El Esquimal, El Samurai, Llona Jr.
3) Altanits Jr. & Oro vs ? & Zandokan Jr.
4) ? 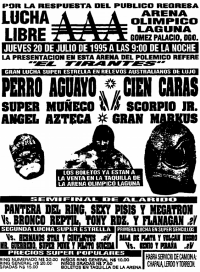 & Brazo de Plata vs El Hijo Del Gladiador & Gran Markus Jr.
4) Blue Demon & Solar I vs Emilio Charles Jr. & Scorpió Jr.